How Much Does Bed Bath & Beyond Pay? How Old to Work at Bed Bath & Beyond? Bed Bath & Beyond careers could be just what you need in your life. Working in an environment with a “yes” mentality can be very empowering, and that’s even before you realize that every employee, from entry-level up, is valued and taken seriously. Part of a group of retail outlets, Bed Bath & Beyond is the place to go for gifts, bedding, home décor, furnishing and more. The business themselves attribute their success, at least in part, to their positive attitude and belief that a strong team creates a satisfied customer. Working at Bed Bath & Beyond won’t be just another shop job to tide you over until you find something better. There are loads of opportunities, whether you’re looking for your first retail role, taking the next step in an established management career, or work in a behind-the-scenes office-based position. Whichever level you’re at, your opinion and contribution will be valued. If you’re keen to work with Bed Bath & Beyond, some of the available jobs you may be interested in include Customer Service Associate, Overnight Stocker, Retail Sales Associates and Receiving, Bedding Specialist or Manager in Training. Much of Bed Bath & Beyond’s recruitment is now done online, as you’ve probably come to expect now that pretty much everyone has internet access. They also advertise instore and host jobs fairs, so keep an eye out in your local branch too. To apply for a Bed Bath & Beyond vacancy, visit the careers section of the company website, and choose between store associate, management, or corporate job listings. Results can be sorted by brand, location and other criteria. The full application can be completed online. Current openings at Bed, Bath & Beyond include Retail Sales, Receiving Associate, Sales Specialist, Lead Receiver and Customer Service Representative. As Bed Bath & Beyond have been in business since 1971 and continue to expand, there is a need for new retail sales associates to staff stores. If you’re a strong communicator, can easily interact with both customers and colleagues, and can commit to a flexible working schedule, you may be a good match for this role. A passion for customer service is essential, as is the ability to climb ladders, move stock and operate all in-store equipment. No retail business can succeed, let alone grow without enough stock, and a range which encourages customers to keep coming back. As Receiving Associate, you could be taking responsibility for all aspects of receiving within your store, including work flow, supervising staff and daily operations. A strong candidate for this role with have at least two years’ experience of high volume operations, strong leadership skills, and a good knowledge of all aspects of warehousing. If you’re passionate about outstanding customer service, and are committed to making the experience at Bed, Bath & Beyond noticeably better, you may be interested in this Sales Specialist role. Bed, Bath & Beyond are currently recruiting energetic, passionate, customer service-obsessed Sales Specialists, who excel at team-working in a fast-paced environment. No experience is required, and you will be required to work on sales and service in a specialist department, such as cookware, window treatments, electronics or vacuums. In a thriving retail environment, time is of the essence, particularly when it comes to pricing and stock control. The successful applicant for this Inventory Control & Replenishment role will be responsible for accurately auditing price changes within a specified timeframe, completing sign walks, monitor a range of inventory-related reports, and working with the safety team, to name but a few key tasks. No experience is required, although essential skills include being detail-oriented, self-motivated and able to prioritize effectively. Quite a few of Bed, Bath & Beyond’s stores are currently recruiting for a range of store associate roles, which may include Retail Sales Associate, Cashier, or Customer Service responsibilities. One application can be used for all three positions which, in such an entrepreneurial business, are similar but not quite the same. What you can count on is that, whichever role you land, you’ll have a rewarding, challenging and fun job. Previous retail experience is preferred, and you must be able to work across all three roles, thrive in a fast-paced environment, and comfortably and professionally assist customers with transactions and enquiries. A flourishing retailer needs an excellent and effective management team and Bed Bath & Beyond are no exception. There are many store and corporate manager vacancies currently open, ideal for those looking to take the next step up the career ladder, or for experienced managers seeking a fresh challenge. Bed Bath & Beyond are currently seeking several Managers in Training, a position suitable for candidates with at least three years’ retail management experience, outstanding customer service skills, and an entrepreneurial nature. Training will be provided in a temporary in-store position, before the Manager in Training progresses. A Department Supervisor at Bed Bath & Beyond is a fulltime job, involving a high level of responsibility. Reporting to the Assistant Store Manager, you will be tasked with coordinating and delivering department-level training, reviewing business reports, and generally working in line with Bed Bath & Beyond’s service culture. Two years’ supervisory experience is essential. Outside of the store network, Bed Bath & Beyond are seeking skilled professionals for a range of corporate careers. One current opening is that of Business Analyst, with responsibility for analyzing business requirements and communicate potential improvements. Details of all Bed Bath & Beyond manager careers can be found on their careers website. How Much Does Bed Bath & Beyond Pay (Hourly & Salary)? Bed Bath & Beyond offer a competitive rate of pay, as well as flexible scheduling and a range of benefits. Hourly rates at Bed Bath & Beyond start at around $9.59 for a cashier, rising to around $63,432 for an operation manager. Comparing with other retailers, Kohl’s offer their cashiers an average of $8.22, while a PetSmart cashier can expect around $9.14 an hour. 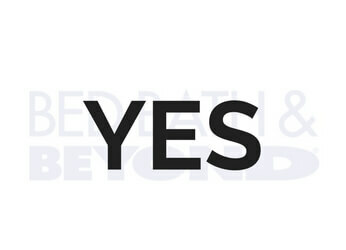 How Old Do You Have to Be to Work at Bed Bath & Beyond? To work at Bed Bath & Beyond, you must be at least 18. Does Bed Bath & Beyond Drug Test? Bed Bath & Beyond do drug test, both during the recruitment process and while employed by the company. Generally, only one-day notice is given prior to the test. Secured an interview at Bed Bath & Beyond? Congratulations! To help you land that great new job, here are some possible questions you should be prepared to answer, and tips to help you on your way. Whatever you say in response to this question, don’t say you’re a perfectionist with no faults. That’s true for absolutely nobody, and an obvious lie at interview is never a good idea. Your strengths may include your team-working skills, passion for customer services, or ability to talk to pretty much anyone. In a retail environment, these are all important. On the weaknesses side, maybe you’re too critical of yourself, or don’t have as much experience as you’d like. Make sure to let them know you’re aware of your weaknesses and willing to improve. Tell me about a time you dealt with a difficult customer. What could you have done better? One thing you can count on when you work in retail is difficult customers. Although the saying goes “the customer is always right”, it’s not that simple. This is like the strengths and weaknesses question in that the interviewer is looking for you to acknowledge where you have room to improve. Tell the story of the difficult customer, how you helped diffuse the situation and, perhaps, say you could have tried to deal with before involving a manager, could have been less flustered or similar. Preparing for this question isn’t too tricky but, if you don’t prepare, you could find it difficult to think on the spot. As the interview is at Bed Bath & Beyond, choose a product they sell in store and be ready to sing its praises. Top tips – people don’t buy products, they buy solutions to a problem. So, a mattress topper could make that lumpy mattress super-comfortable, a personalized gift could solve the issue of not knowing what to buy for the person who has it all, and so on. As Bed Bath & Beyond operates a casual dress code, it can be acceptable to interview in casual clothes. However, it’s always better to appear professional, so smart casual is generally the way to go. Think ironed khakis or a smart skirt, with a button-down shirt or blouse. Interviews for manager and corporate roles should always be attended in full business attire, including a jacket and tie.